A Spanish island in the Mediterranean Sea, Ibiza is known for its crazy nightlife and upbeat atmosphere. Electronic music fans from all over the globe flock here to enjoy riotous raves and partying until the break of dawn. Where else in the world can you dance all night, step outside the club into the sand, and lay down on the warm sand to sleepily watch the sun come up? For travelers not as excited about the party scene, there is good news for you too: Ibiza is not all about raves and debauchery. You can easily rent a car and tour the old town, the natural caves and hidden coves, visit the Es Canar Hippy Market, or go parasailing. Festivals take place throughout the year, offering tastes and smells you likely have not encountered elsewhere. 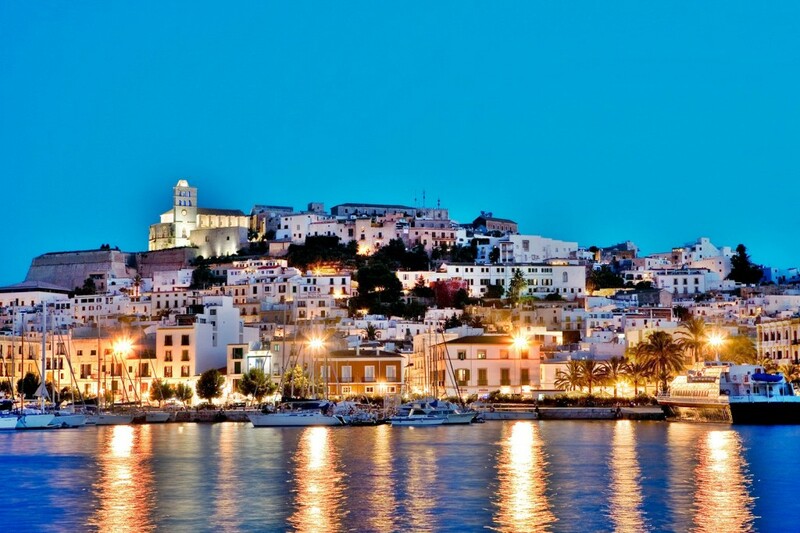 You might come to Ibiza for the party, but if you take some time to explore, you’ll leave with more than you expected. Seattle is known for many things: coffee, technology, liberalism, and rain. That last point, however, is a bit of a myth. 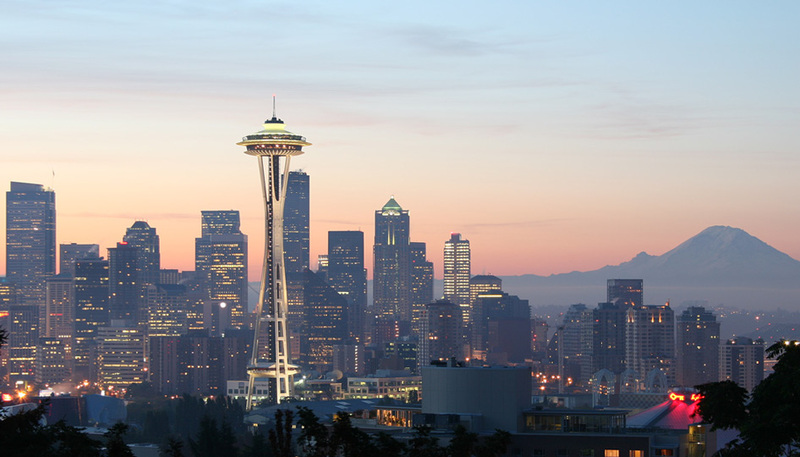 Seattle may have some gray winters, but the temperate climate and combination of mountains and ocean in nearly every direction makes it a jewel of the Pacific Northwest. There are several unique ways to take in the magnificent views of the Emerald City, as it’s lovingly known: Seattle’s iconic landmark, the Space Needle, is visited by tourists from all over the world, and is the highest spot from which to enjoy a 360-degree panorama of the city, surrounded by the Puget Sound, several lakes, and two volcanic mountain ranges. You don’t need the height of the Needle to see Mt. Rainier, the Northwest’s most famous volcano which features some of the largest glaciers in the contiguous United States and sees more than 10,000 summit attempts each year. At night, the backdrop of city lights against the Sound or on Lake Union create stunning photo opportunities, and the 120-odd neighborhoods that comprise the whole of metro Seattle come alive with an endless supply of restaurants, bars, fantastic music venues, and parks or beaches that add an unforgettable element to any outing. Watch the fishmongers in Pike Place Market, sample the best roasted coffees from around in the world, listen to New Orleans brass at the Triple Door, or catch a soccer or baseball game at one of the stadiums—no matter your interest, Seattle has something for everyone, no matter the time of year. A detachment of the Edwards Air Force Base in Nevada, touching the south of Groom Lake, Area 51 appears to be pretty empty. However, UFO and alien believers would argue that there is much more going on here than meets the eye. 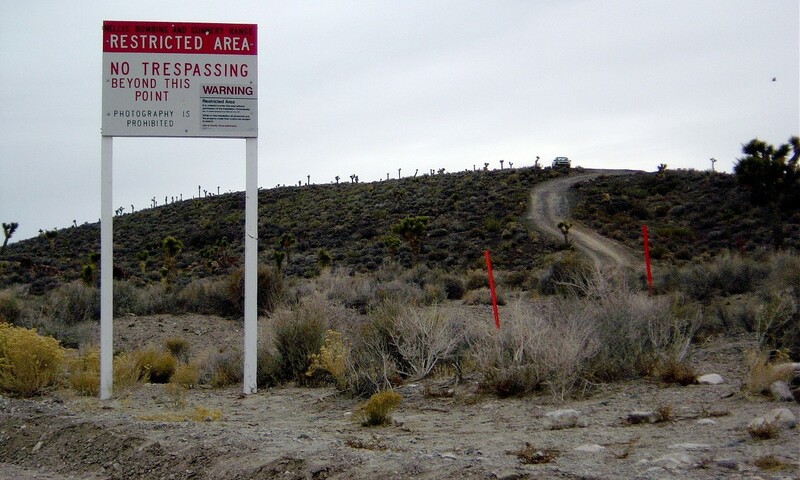 The United States military conducts top secret flight testing in the area, keeping it closed off to civilians, which may have something to do with the UFO sightings that have been reported for decades by people wielding shaky, blurred footage of ‘bright lights in the sky.’ If you are hoping to actually see Area 51, you’ll be disappointed—you simply cannot enter. However, if you’re passing through, other nearby stops that poke fun at the extra terrestrial theory can make for a fun way to take a break from the car. Inside the neighboring town of Rachel, population 98, you can visit Little A’Le’Inn, a small motel with an alien-themed gift shop. If you want to push your limits, you can drive down Groom Lake Road and gawk at the men in black who will not-so-kindly urge you back on your way if you go off course. 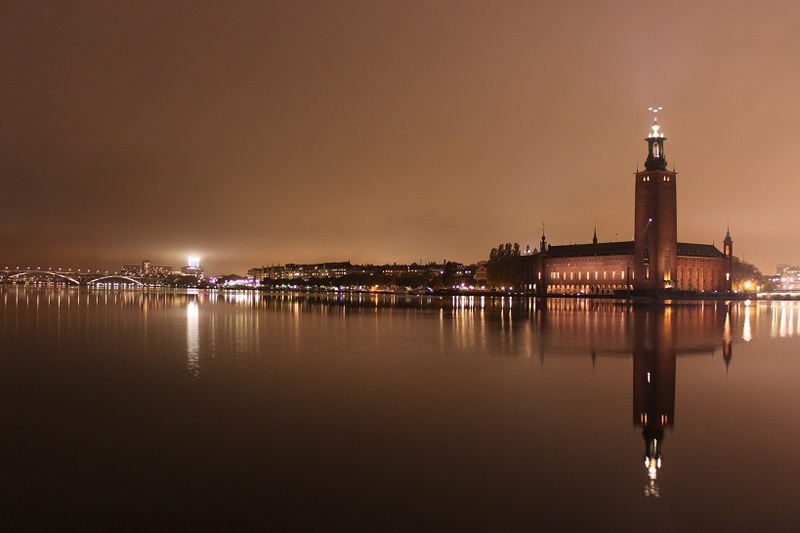 Stockholm is the capital and most populated city of Sweden and is known for its beautiful architecture. It’s not historic architecture either, which is what other cities are known for. The contemporary art form of architecture displayed in Stockholm is something you won’t find in many cities; there is the Ericcson Globe, a multicolored indoor arena that flashes brightly through the night, and Soder Torn, a high rise in Stockholm that looks like it came out of Iron Man or Batman (although lacking in height, the style is the same). It is worth a visit to go and appreciate the hard work effort put behind creating the buildings; the beauty of the city when all of these wonderful pieces of art come together to form what we know as Stockholm make it a trip worth taking before you die. Atlanta, the city that blends the old with the new and does it with complete pizazz. 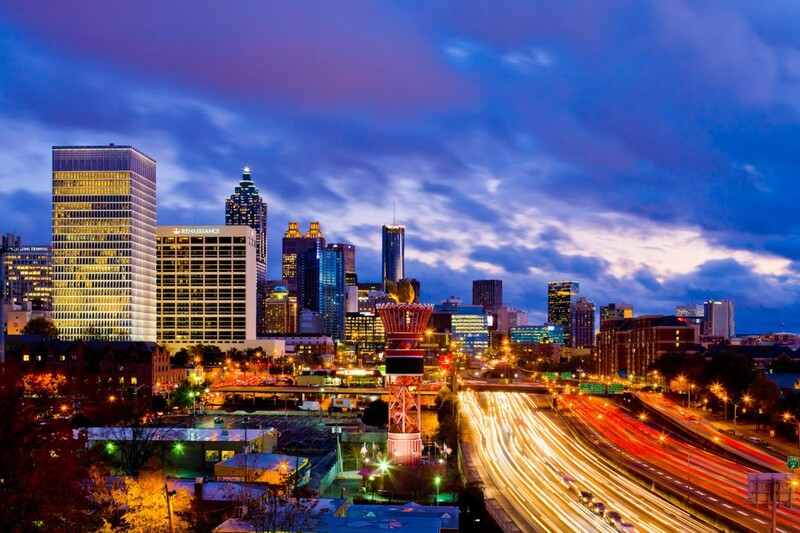 Host of the 1996 Olympics and birthplace of one of the greatest figures of the Civil Rights movement, Atlanta is the capital of Georgia, USA, and the most prominent state of the American South. 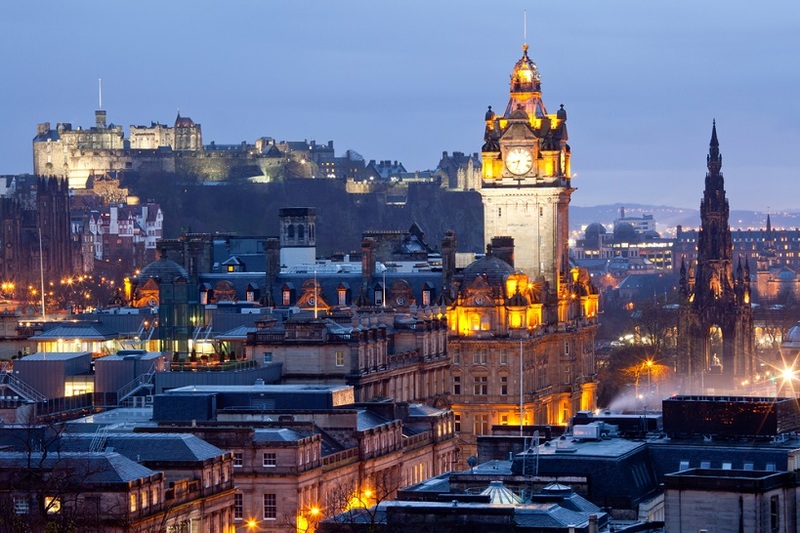 Whether you’re a fan of history, an enthusiast of the arts, a sports nut, or a night owl, this is the city for you. Learn about the entire history of Coca Cola at the World of Coca-Cola (pictured above), ride the wicked roller coasters at Six Flags, visit the Martin Luther King Jr. National Historic Site or go on a journey at the Atlanta Cyclorama & Civil War Museum. When you’re done sightseeing, the food culture and nightlife here will pick you up and keep you going all night. They don’t call it ‘Hotlanta’ for nothing. Singapore, the island city-state, is the eclectic seat of Asia’s culture and character. Start your mornings with flowing Chinese tai chi moves amidst a rainforest setting in the Botanic Gardens. Walk around Chinatown and venture into temples and Hindu Shrines filled with plumes of incense. The Museum on Neo-Palladian Asian Civilizations exhibits some of the most noted Vietnamese, Arabic and Islamic artifacts. You wouldn’t want to miss SentosaIsland which offers all sorts of outdoor recreation. Endless gleaming malls line up along Orchard Road – a true shopper’s haven. Singapore lights up at night, from the spike-dome Esplanade theatre to the pulsing Zouk Club and the Chinatown Night Market. Singaporeans love to eat out, and so will you with unlimited food options from Hainanese fare to curried Indian food. 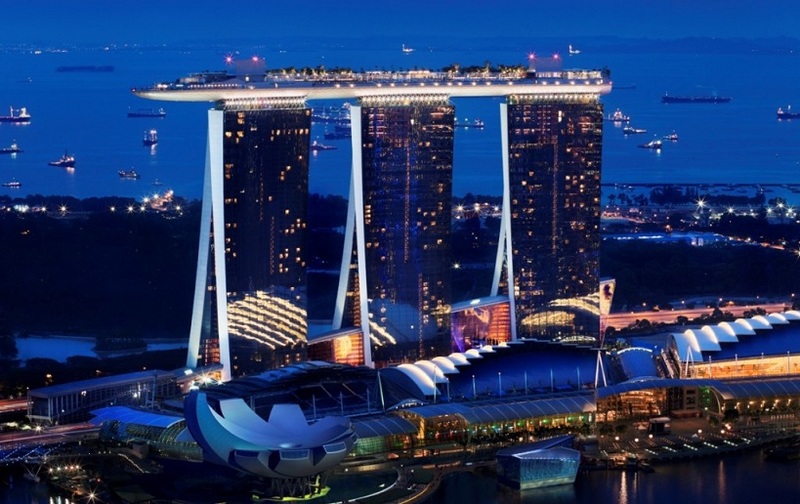 Visit Singapore and experience the richness of the Asian heritage and the luxury of a megacity. Waikiki, home to one of the most famous beaches in the world, is a district on the island of Oahu in Hawaii. 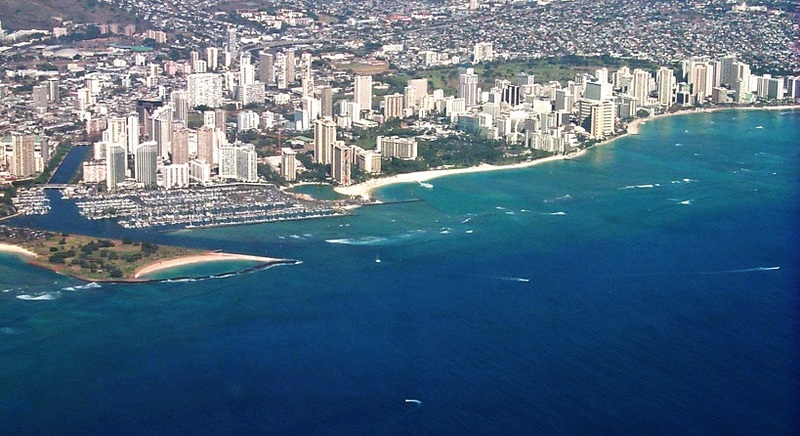 Because of its fame, Waikiki Beach (which is actually a series of beaches) is also among the most crowded. Each beach caters to different tastes, from learning how to surf and snorkel to swimming and hanging out with family and friends. And let’s not forget, no Hawaiian trip is complete without attending at least one luau, in which you can experience hula dancing, live music, fire dancing, and conch shell ceremonies. Other places of interest in Waikiki include Kapiolani Park, the Waikiki Shell amphitheater and Honolulu Zoo, and the famous hike up Diamond Head—a strenuous trail that rewards persevering hikers with an unforgettable view of the entire city and the surrounding blue Pacific. 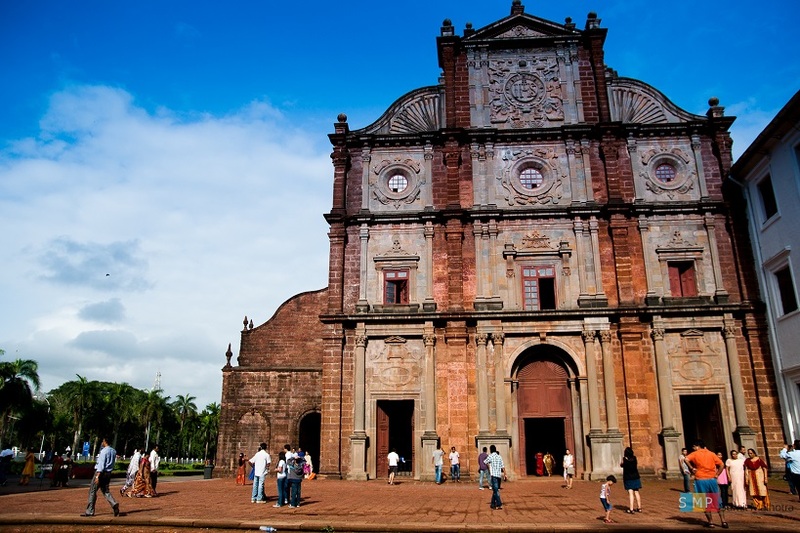 Visibly different from the rest of India due to prolonged Portuguese rule, Goa is a state in India that has long been a highlight for backpackers. Famous for its beaches, ancient temples and churches, and the Goan carnival, Goa is comprised of many towns and villages that will require some thinking and planning of local transportation. The area caters to all interests: you might choose to explore the many museums, dive in the waters around Grande Island, paraglide in North Goa, or go jet-skiing on Anjuna or Baga beach. Travelers keen to lend a helping hand can check out volunteering opportunities, such as spending time in one of the local orphanages or taking part in animal rescues and nature centers. 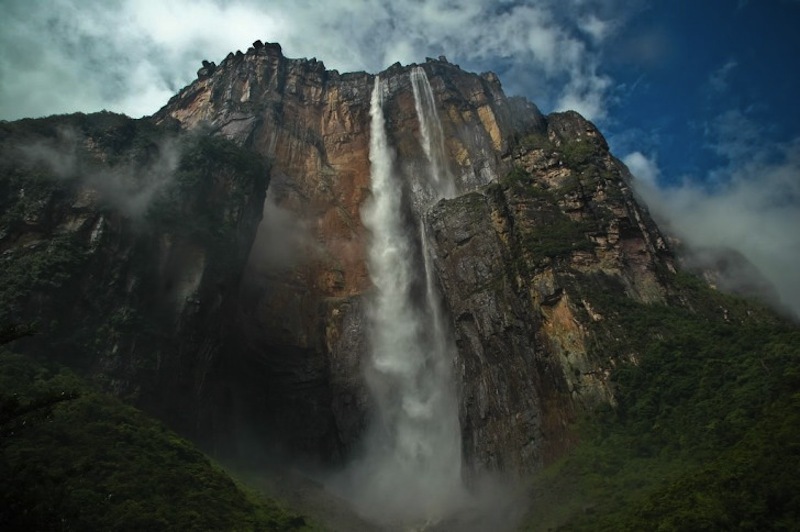 Angel Falls, the world’s highest waterfall, is located in the jungles of Canaima National Park in Venezuela. These falls were the real life inspiration for Paradise Falls in Disney Pixar’s movie Up. An abundance of fauna and flora make their home in the area, including monkeys, poison arrow frogs, and hundreds of species of orchids. Although rare, you can also sometimes spot other big mammals such as giant anteaters, armadillos, porcupines, three-toed sloths, otters, jaguars, pumas, tapirs and capybaras. To experience this majestic site that lies deep in isolated jungle territory, book with a tour operator in Canaima. You’ll be able to come incredibly close to the foot of the falls and camp alongside the river, amidst the deep basin of the thundering water. Perfect for the family or a solo traveler, Toronto is never short on things to do or neighborhoods to explore. 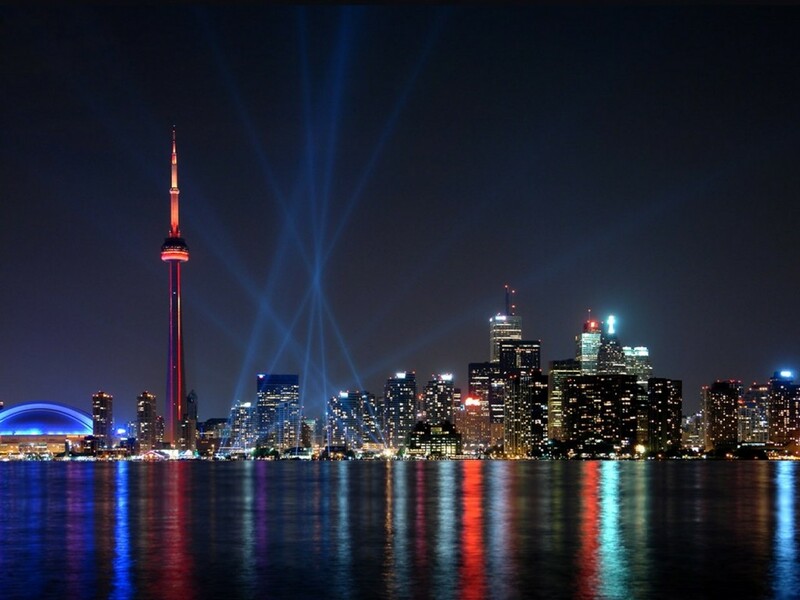 As Canada‘s most populous city, in TO or T-dot (as the locals call it), you can experience a truly international metropolis with a vibrant nightlife, spectacular architecture, historic museums, exciting sport recreation centers, charming luxury shops, and everything in between. More than 7,000 restaurants compete for your appetite here, ranging from upscale gourmet to home-cooked comfort foods. City tours can show you the highlights, specialized for culture vultures, history buffs or food lovers, and central downtown will teach you the true meaning of the saying, “the night is still young!” Toronto is a very diverse city, with ethnic groups from around the world represented in Chinatown, Little Italy, Portugal Village, Little India and Koreatown. In this cultural, financial and entertainment capital of Canada, you’ll experience cosmopolitan city life at its finest.